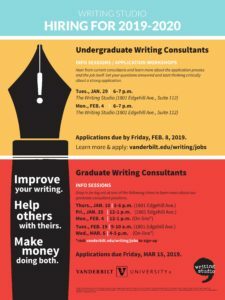 The Writing Studio hires undergraduate consultants, graduate consultants and fellows, and graduate clerks. Hiring for consultant positions happens once a year, early in the spring semester. Clerks are hired on an as needed basis. Join us for one of two information sessions in January 2019 to hear from current undergraduate consultants and to learn more about the application process and the job itself. 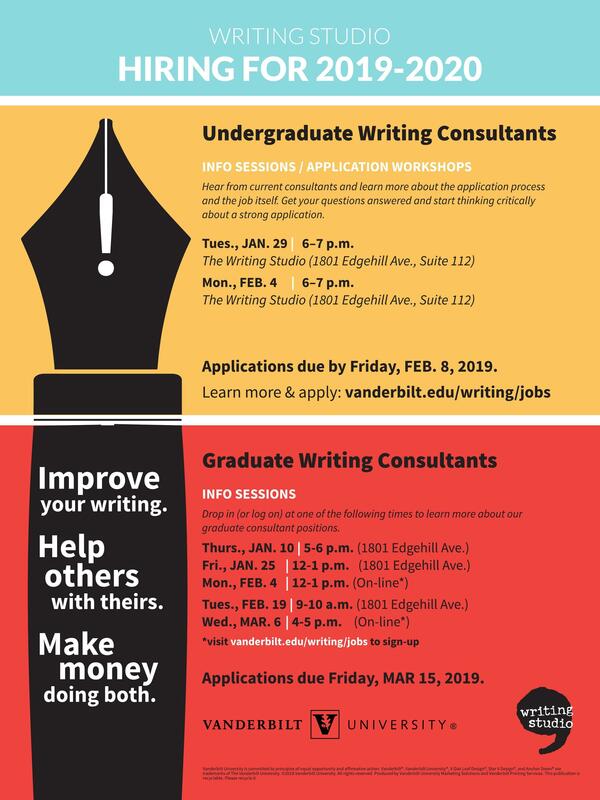 We are offering the following times when interested graduate students can drop in (or log on) to learn more about our graduate consultant positions. Fill out the registration form to let us know you are coming! *We will e-mail you a link to join us on-line when you fill out the registration form.